A profound statement in a nutshell. Beautifully and simply stated – I’m impressed. I don’t generally reblog, but I’d like to reblog this. This is a profound statement written in a beautifully clear and simple way. 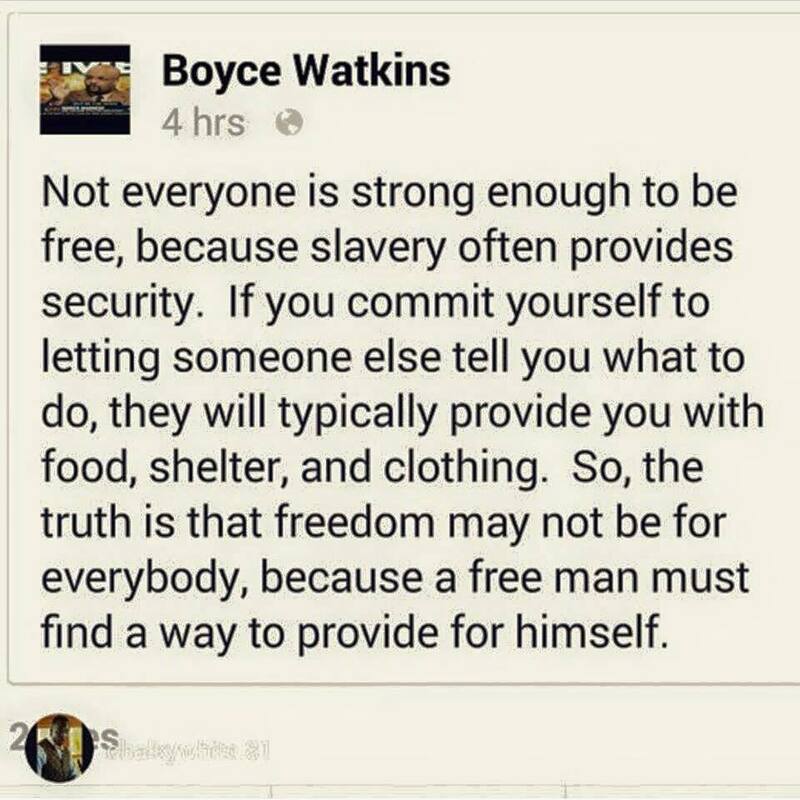 Respect to Boyce Watkins! Well, that’s telling it like it is. So true that not everyone wants the responsibility that goes with true freedom.